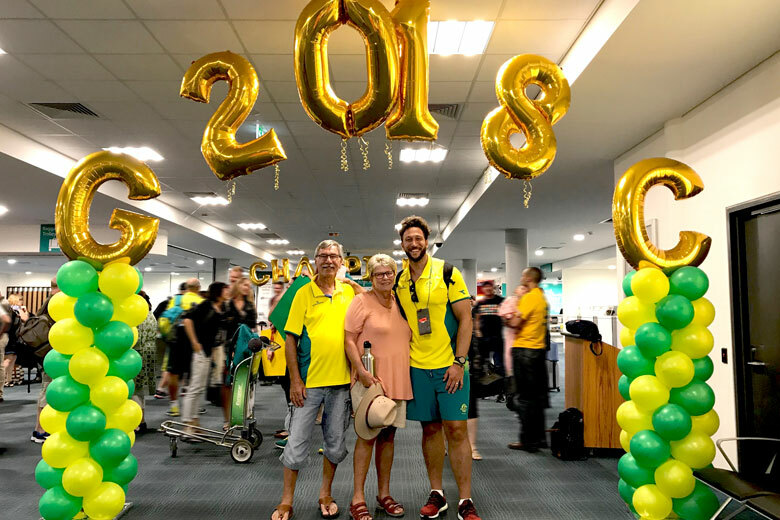 It was an honour to welcome some of our homegrown Athletes on their return from the Gold Coast 2018 Commonwealth Games, when they flew in on Wednesday 16th April. 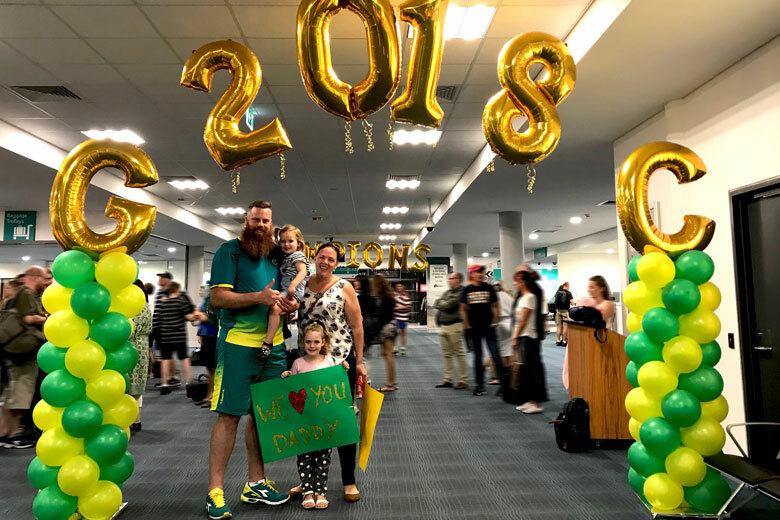 To help celebrate their return, we decorated the Arrivals Terminal with green and gold to give our champions the welcome they deserved. Dan Repacholi, gold medal in the men’s 50m air pistol (shooting). Lauren Parker bronze medal in the women’s paratriathlete, and Natasha Scott dual gold medals in the women’s triples and fours (Lawn Bowls). Benn Harradine, with his parents, who finished fifth in the men’s discuss final. Lauren Parker, bronze medal in the women’s para-triathlon. Katie Ebzery gold medal in women’s basketball, and Kurt Fearnely gold medal in the marathon and silver medal in the men’s T54 1500 metre race. Pictured with some adoring Airport staff including Samual (left), Jodi (middle), Maree and Diane (back right). Katie Ebzery and Kurt Fearnely stand under the champions balloon banner. And Newcastle born athlete Cameron Crombie in the men’s 38 shot put.